Did you know you can absolutely explode your email list for free with untouched offline sources? 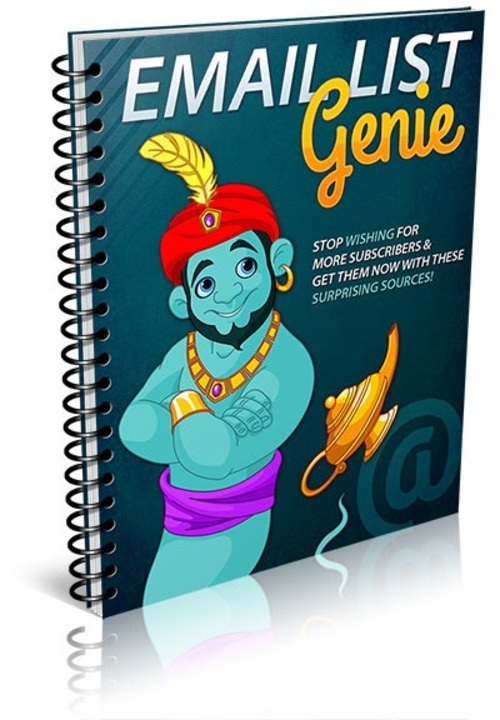 Uncover the best online sources of email subscribers to explode your email list right away! Find out how to form strategic partnershipswith offline businesses that can help you siphon their customers onto your email list! Discover the top methods of getting more subscribers to your email list without spending a fortune or wasting your valuable time! Learn the newest methods for increasing the size of your mailing list -- including little-known sources that will leave your competition in the dust! Drive traffic to your squeeze page and let the 7 part auto responder series do all your follow up marketing for you helping you to earn more commissions on autopilot!